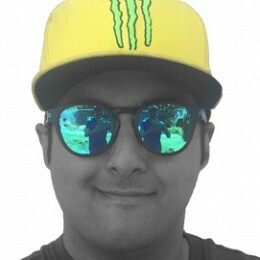 Motorsports writer, collector of caps (and fez) and one half of the 'Hit The Apex' F1 podcast. Follow me on Twitter @Doctor46th and or @HitTheApexMedia. A special round of Formula One is upon us, as the sport celebrates a milestone 1000th grand prix in China. Join The Roar for a live blog, starting from 4:10pm AEST. Formula One gets ready to hit the track in Shanghai this weekend for the third round of the 2019 championship, though this edition of the Chinese Grand Prix will hold a little more significance. After a frenetic start to the new Supercars season in Adelaide and Melbourne, the championship crossed the Bass Straight to the Apple Isle for another exciting weekend of racing. 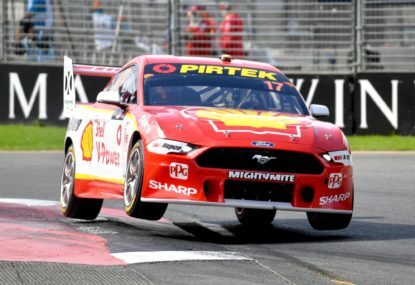 The Supercars parity debate will no doubt roll on into this weekend’s Tasmania SuperSprint, as the centre of gravity (COG) test yielded weight changes for both the Holden Commodore and the Ford Mustang. Whilst it could be easy for some to sit and conclude that the Bahrain Grand Prix was yet another case of Ferrari imploding and Sebastian Vettel finding himself in a spin again, the race – while having a familiar outcome – saw the stars of tomorrow shine bright. From the sunset of Melbourne into the twilight of Manama, the Formula One world championship moves to its second stop for 2019, arriving at the Sakhir circuit for the Bahrain Grand Prix. Join The Roar for a live blog, starting from 2:10am AEDT. From the gruelling streets of Adelaide to the high-speed international stage of Albert Park, the Supercars Championship turned it up once again as Formula One’s under card at the Australian Grand Prix. 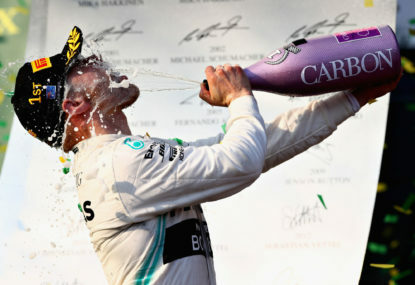 Mercedes AMG started off the 2019 Formula One season in dominant fashion, as Valtteri Bottas broke his drought of victories going back to 2017 by winning the Australian Grand Prix. 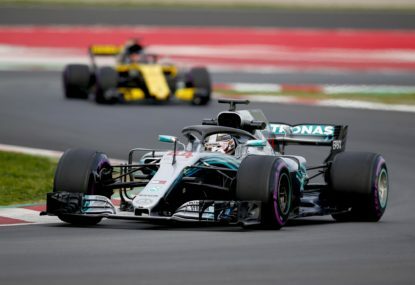 Race result: Mercedes AMG started off the 2019 Formula One season in dominant fashion, as Valtteri Bottas broke his drought of victories going back to 2017 by winning the Australian Grand Prix. 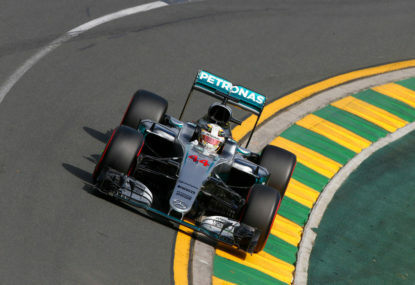 Success in the 2019 Australian Grand Prix qualifying has seen Lewis Hamilton equal the record set by Ayrton Senna and Michael Schumacher for six consecutive pole positions at a single race venue. 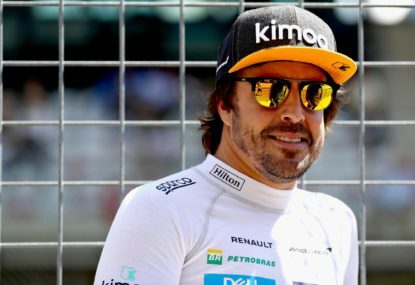 The business end of the Australian Grand Prix weekend is fast approaching, with only 60 more minutes of practice remaining before the drivers tackle their first qualifying session of the new season. Join The Roar for a live blog, starting from 2pm AEDT. 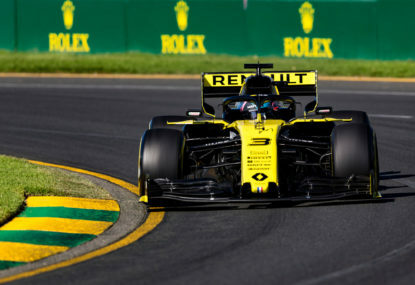 All the speculation from the pre-season can at last be put to bed, as it is time for the Formula 1 cars to hit the track in anger for the first time at Albert Park, for the first practice session of the 2019 championship at the Australian Grand Prix. Who’d have thought five years ago that a sport as exclusive as Formula One, would open its doors to the possibility of a documentary delving into every facet of a season, previously unseen during a regular live telecast. 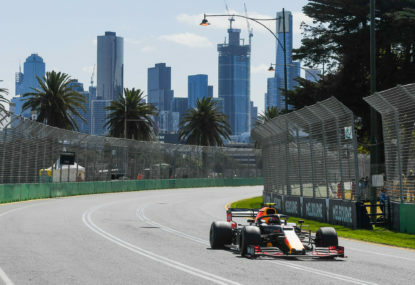 Seven days from now, 20 drivers from ten teams will emerge from their garages at Albert Park in Melbourne, ahead of the first practice session of the Australian Grand Prix and to mark the start of a new season of Formula One. 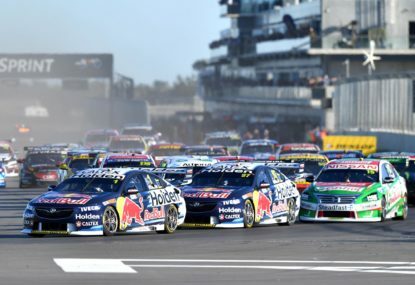 With great anticipation the 2019 Supercars championship finally commenced on the weekend, and the traditional curtain-raising Adelaide 500 didn’t fail to deliver. It is one of the most celebrated and challenging circuits in Australia and in 2019, the traditional Adelaide 500 will once again mark the beginning of a new season of the Supercars championship. 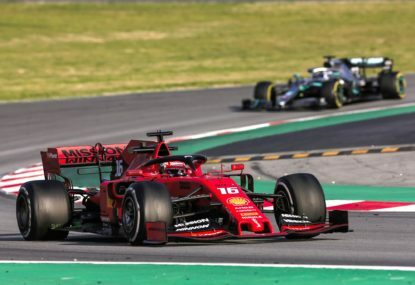 As the 2019 Formula One world championship looms large, another four days of testing to allow the field to further acclimatise to their new machinery, comes first in Barcelona this week. Agreed, they did have the fastest car for the majority of last year, but their own mistakes cost them at key moments. Sounds like this’ll unfortunately be a recurring narrative throughout the season and the answer at the moment is that Triple Eight’s own mistakes are costing them, which includes the fact that they’ve not managed to get their car to adapt to the linear spring regulation. Can’t use parity as the reason for their shortcomings now, particularly when their fellow Holden teams can be more competitive. There probably won’t be as much noise this time, though Phillip Island will be a lot more representative of where the teams sit after the weight changes. No surprise if it’s another McLaughlin masterclass at the Island. 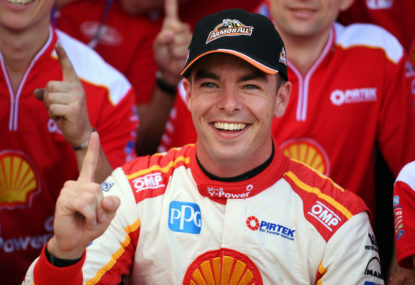 Though still it was quite important that McLaughlin won the first race over the weekend, which says that despite the changes – DJR Team Penske even had their advantage taken away are still going to be a force. It does seem to be the way, even though it can be argued that after the ZB won 5 out of the first 6 races in 2018, there was the change for the Falcon and Altima with the composite panels. Though throughout history, it has been pretty one-sided. Thanks mate. Just hoping that McLaren can sustain their development this season and stay right in that battle with Alfa, Haas and Renault. You can already kind of see Sainz a bit agitated by Norris’ performances, even though Sainz’s results haven’t entirely been his fault. Should only be a matter of time for them to win a race then this season, given the speed we saw from Red Bull in Melbourne. I’m sure all are pleased to see Honda earn that, after the years of turmoil as you said. Ford Performance saw the opportunity and jumped at it. It is hard not to credit them for the final product, but whatever the advantages are – are pretty much due to either loopholes in the regulations or the fact that as mentioned, the control chassis is out of date. Thanks mate, hope you enjoyed the GP weekend as a whole. As far as the COG testing goes, DJRTP did end up taking that weight off their exhausts after Adelaide and that actually was their solution in 2018 when Ford and Nissan were allowed to change to composite bonnets and roofs, to compensate for the ballast weight lost in switching to composite panels. Ultimately, a shift in the control chassis may be the solution to killing off these disparities. But also this is high-end motorsport; Ford have engineered a car as best they can with the current chassis regulations – and always there is going to a party that isn’t happy. You won’t be disappointed! And the lack of Mercedes and Ferrari is something you don’t even notice. I’ve always been a fan of Fabs, but did feel that he might be suffering a bit of the Valtteri Bottas syndrome. Without those mistakes on both his part and the team’s end, the car is fast enough to produce wins and nothing short of multiple wins for Coulthard in 2019 will be acceptable. As for Chaz, he and Scotty would be the Shell V-Power dream team. 2015 showed that Mostert is strong enough to be a strong championship contender and one always ponders in hindsight; what could have been if that Bathurst accident didn’t happen. And what you say is evident from his one lap speed too, given that he used to also be a master of qualifying. Even when he came back to Yamaha, he’d be rarely scoring poles, whilst Lorenzo on the same bike had a better strike rate. Yeah, in hindsight it’s an interesting thought to ponder, if he were riding a Honda and with a strong engineering team around him. It has been mentioned here and there, that one of the reasons Yamaha have had a downturn in form is that Rossi has basically got a team of ‘yes men’ – who even if it may be the wrong step to take, will do it to appease the great man. If it happens, it happens. If not, we can content with him at least retiring as a regular race winner – as supposed to countless other champions who don’t or can’t. Will Valentino Rossi be champion again? As much as its easy to get behind SVG and feel for him about not being inspired enough for Race 31, it is hard to not feel that it was comeuppance for dodging a penalty in Pukekohe for the pit-lane wheel spin. Argue what you may about inconsistent stewarding, but I’m sure if Giz won the title that there would be an outcry for the events in Auckland. In the end, McLaughlin was the more complete driver in 2018 and made next to no mistakes. Giz, as usual went missing after Adelaide but then came to form leading into the Enduros – where even there, it was Triple Eight’s pit-stops errors that cost him more points. Yes, as seen with the Mustang, there was several modifications to the shape such as raising the roof profile in order to fit the Supercars control chassis. Still looks a beast though and I’m sure with a lick of team colour, they’ll look even better when they roll out in 2019. The Newcastle penalty almost makes up for the one Red Bull escaped at Pukekohe with the wheel spinning in the pit-lane. Yes, it does sour the taste of the championship a little – to have a post-race penalty determine the result, though ultimately the onus falls on Triple Eight to rectify their pit-stop issues which have caused them trouble on several occasions this season. As far as the Camaro is concerned, I guess the expectation is to see it from 2020 and represented by Walkinshaw. Imagine having both the current Commodore and the Camaro on the grid together? Hopefully they don’t go down the NASCAR body path, because the aggressive wings at the rear is what makes the Supercar looks so cool! Thanks for reading Jacko! Already looking forward to what 2019 has in store for us in the Supercars championship. It is so pleasing to see these two young stars take the lead in the championship and we can surely expect them to square off again next season and perhaps the next few, given that their respective teams are powerhouses. Haha, had to re-count them but the total stands at 44 at the moment. Mainly motorsport related, but there are a few NBA, NRL, NFL and cricket ones too. 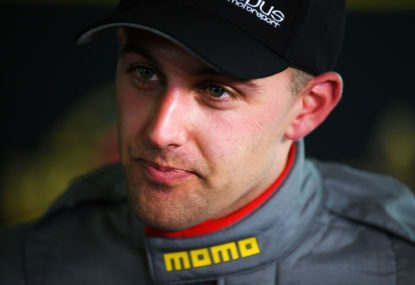 Yeah that Gold Coast incident between Dumbrell and Prémat really stumped me, as to why #1 wasn’t penalised, but I guess they and #97 copped it with the unsafe release penalties later in the race. It’s going to be championship defining, that Pukekohe moment in the pits for SVG, if thing unfold again for Scotty in Newcastle. The points lost over the fact Giz wasn’t penalised, could be the differential come the end of the Newcastle 500. Well, most of the midfield teams are doing the best job they can given the circumstances with the manufacturers dominating out front. 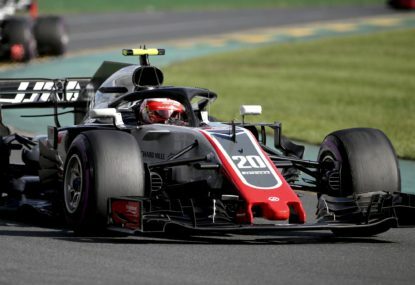 It isn’t like a few years ago when even Sauber and Toro Rosso were sort of nothing teams and then the likes of Hispania and co weren’t even qualifying within the 107% time for the races. Yeah, the Mercedes junior programme isn’t really as up to scratch compared to others, as far as giving their drivers seats in F1. I am surprised that Williams didn’t earlier stick (or be told by Mercedes to) its hand up to accommodate Ocon. Both Ocon and Russell could very well comprise the line up at Williams next year. That’s why the idea of having that base Cosworth engine from 2021, which would be taken by McLaren and Aston Martin to be beefed up in house and badged as they please, was a really good idea. Cost wise, McLaren won’t want to develop their own power-unit in house, but if they were provided a base – they could certainly work off it. As much as their automotive business is enjoying success currently, their F1 team need to be back at the front. 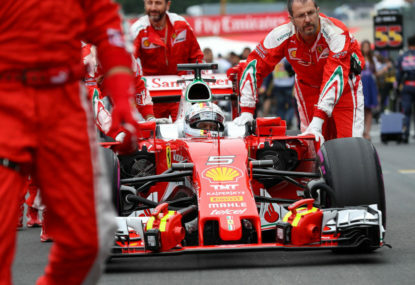 Given Ferrari’s strength this season, it would be great for Kimi to at least win one race in the remaining events on the calendar. 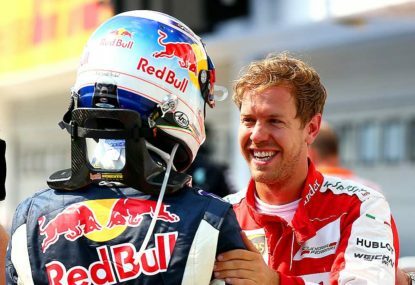 But even one race seems to many, given Seb’s current championship predicament. Ferrari drop Kimi Raikkonen to Sauber, but is it a demotion? Not at all Keith, the coverage was fantastic. I’ve been a fan of the Fox Sports coverage since day dot and am one to say the sport has benefited from having Pay TV coverage, though hopefully when the next TV deal is done, there is more in the FTA package for the fans missing out. The coverage has been that good on Fox Sports, that there were NASCAR bosses present for the Bend SuperSprint to investigate the Supercars TV model, to hopefully use in the US for their own product. I can imagine that in the flesh that it would be even more impressive than it was through the TV images. Already from the GT race earlier in the year to the Supercars in August, the circuit has continued to develop. 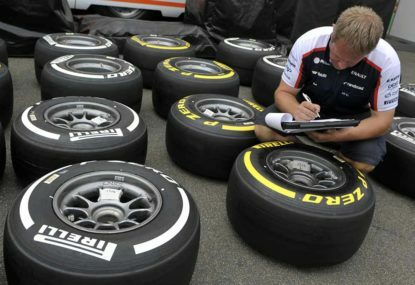 Yeah, hopefully they bring the soft tyre next season given that there was no degradation with the conservative hard tyre this time.